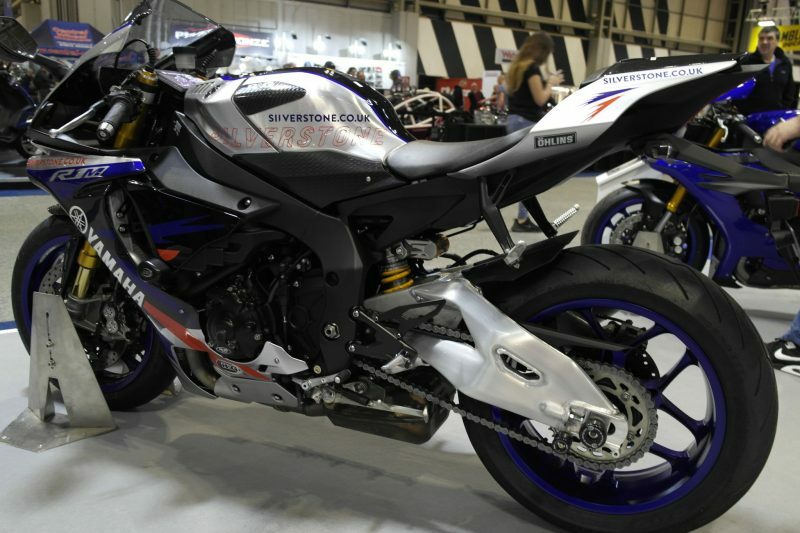 Last month saw the biggest Motorcycle show visit the NEC in Birmingham, as a massive bike fan how could I not go? I mean all those manufacturers, live shows, bikes and maybe even the opportunity to test ride some of the latest 2017 models! So myself and a mate headed over to Birmingham to check it out. We stayed over night just down the road from the NEC in my mates motor-home which was a lot fun so we were there for when the doors opened at 9am! 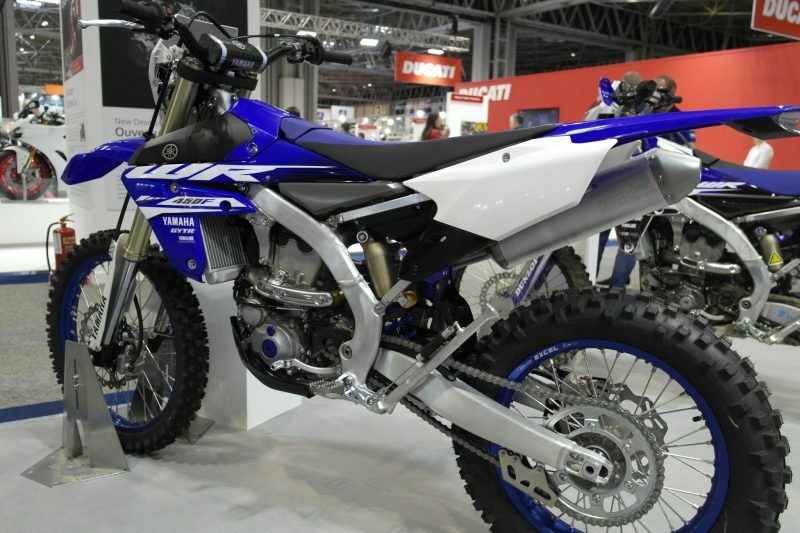 If you’ve evere been to the NEC you’ll know just how huge it is so you can imagine how First up for me was to the test ride zone as I knew it was going to be really popular. I managed to get about 9th in the queue, I’d already had my heart set on test riding the latest Yamaha R1, I think all nine other people in front of me had the same idea! I couldn’t bear the wait until the afternoon so chose the Honda CBR Fireblade SP which was available with no wait! For anyone who’s not brought a helmet and clothing, everything is provided for you to use. After the necessary safety briefing, chat about bikes you’ve ridden and even a breath test (good job I didn’t over do it on the gins the night before) it was time to get on the bikes! This was the first time I’d ridden a 1000cc bike so I was just a little bit excited to say the least! 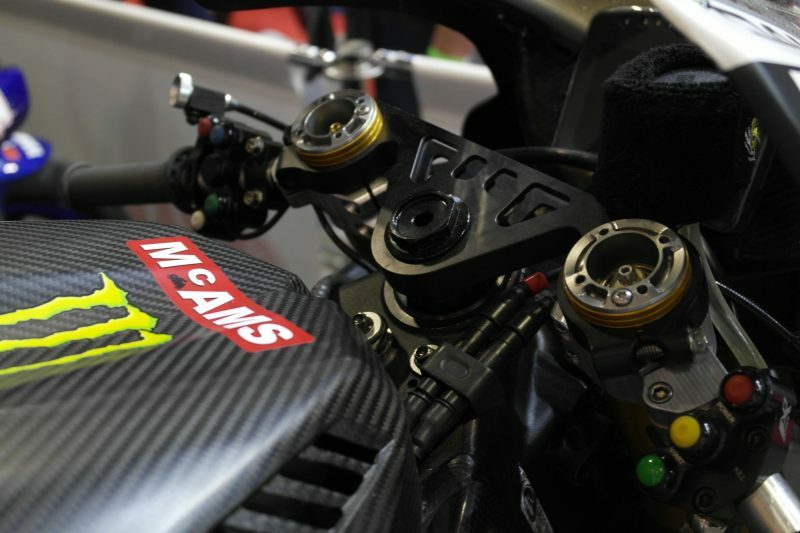 This little machine pumps out 190bhp and a top speed of 186mph! 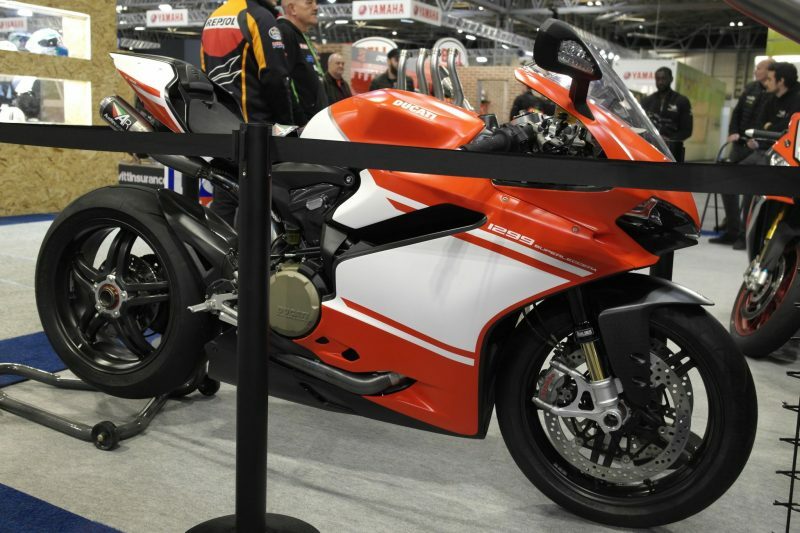 The SP model has a bit more Honda Racing in their DNA than the Fireblade RR so they’re ideal for racing or track days. The ride itself was led by one of the staff, so road speeds were maintained at all times! The 12 mile ride still gave me a good feel of the bikes power and handling. It definitely gave me the bug for a bigger bike! 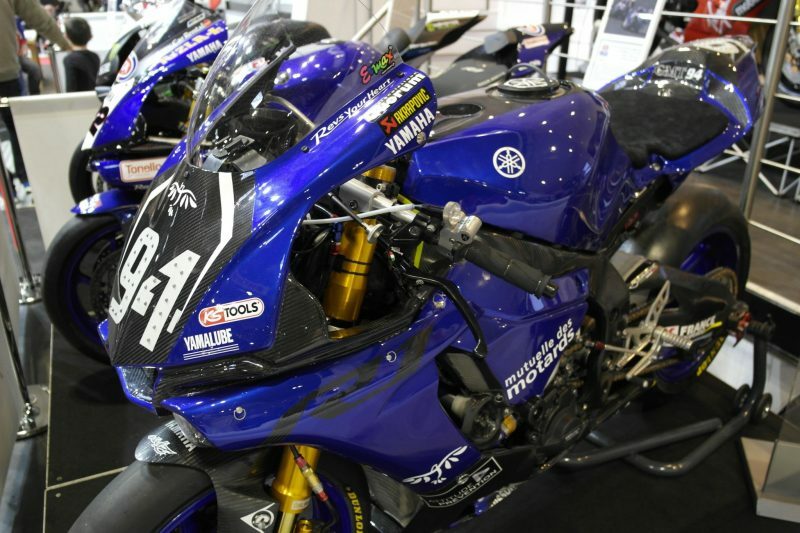 Back inside, it was time to look round some of the manufacturers stands and get up close with some of the bikes. 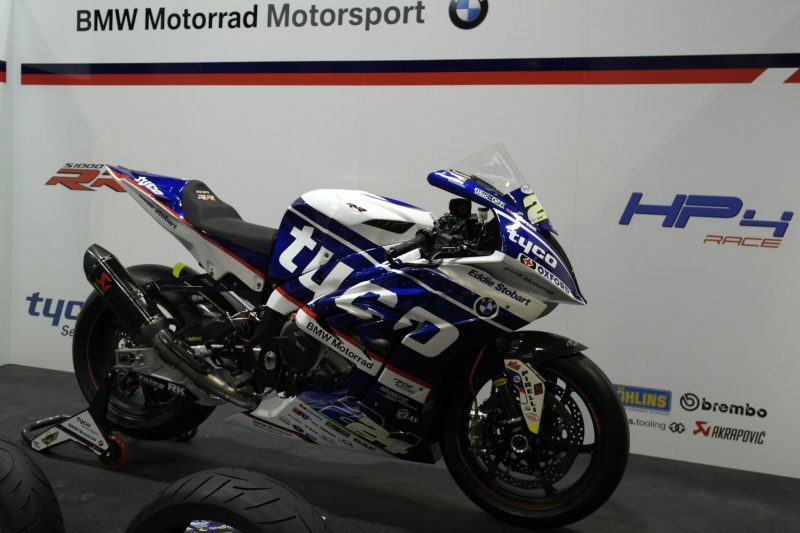 It was great to see so many track and road racking bikes at the show like James Ellisons’ 2017 Mcams Yamaha and Michal Laverty’s 2018 season Tyco BMW. 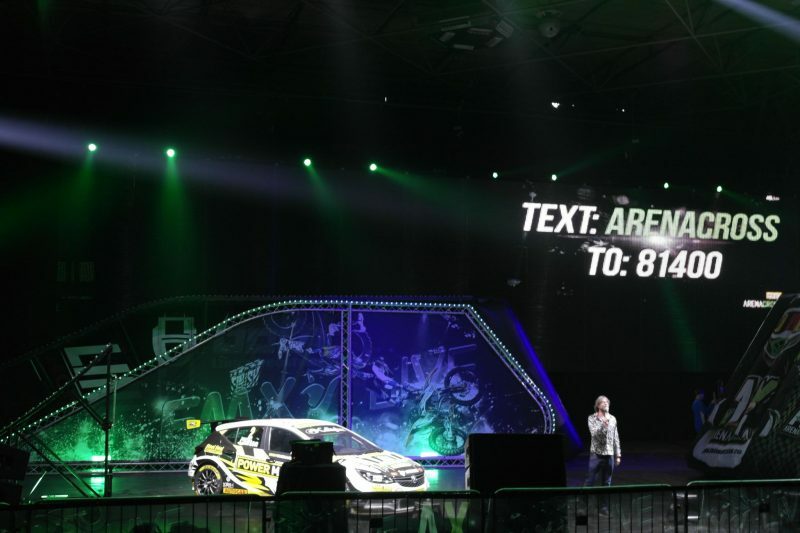 One of the live events at the show was Arena Cross, (although a smaller version) which is an indoor and hyped up version of Motorcross! 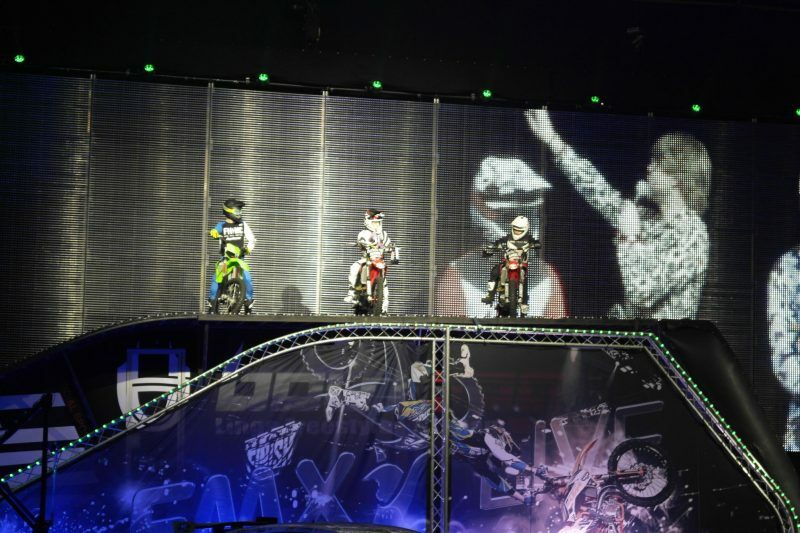 Expect lots of tricks, some of which will leave you a bit mesmerised exactly how they pull them off! 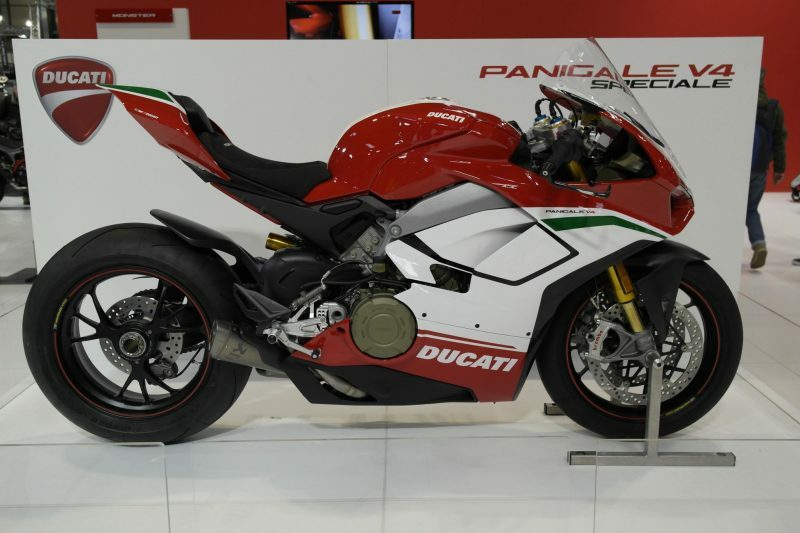 I couldn’t go to bike show and not check out one of the most anticipated new launches of 2017… The Ducati Panigale V4 Speciale! 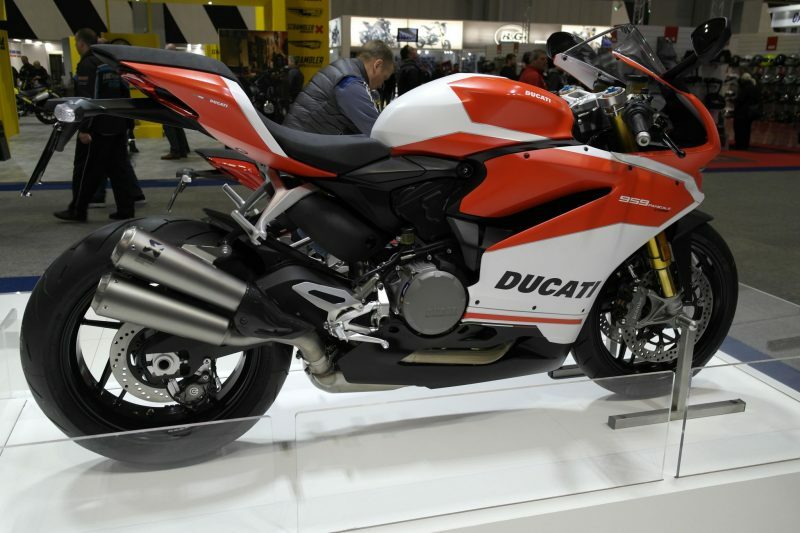 Their latest in the Supersport range, developed in collaboration with Ducati Corse, its the closest road bike to the legendary Ducati Desmosedici GP bike. 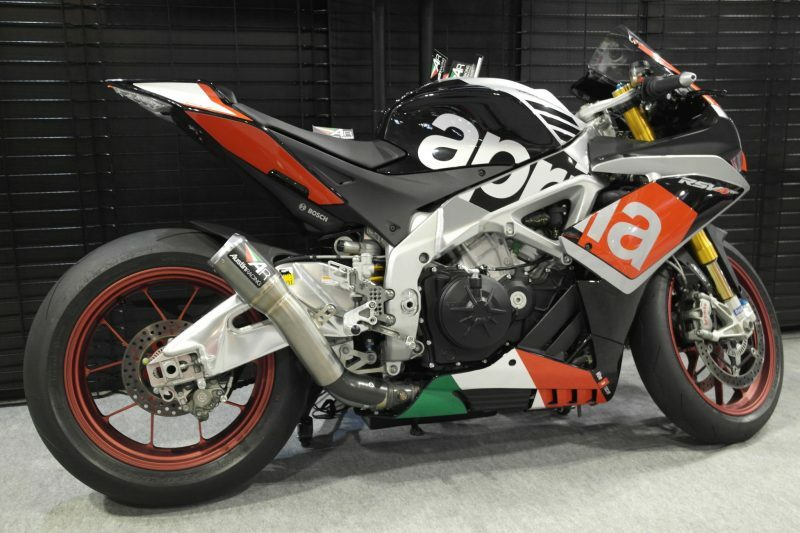 What an awesome looking machine! 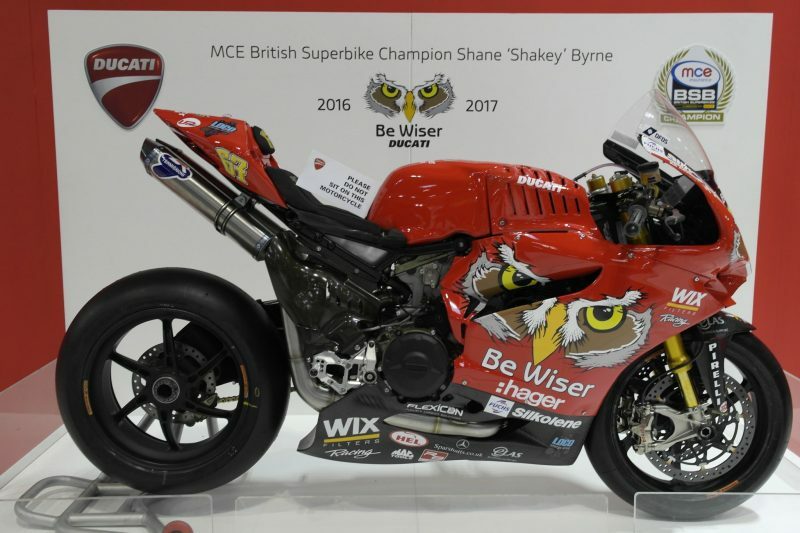 Also on the Ducati stand were lots of other equally amazing bikes like the 1299, 959 Panigale Corse and 6 time British Superbike Champion Shane Shakey Byrne’s Panigale. There would just about enough time left to have a look roud the stalls and do some shopping! I did feel a bit like a kid in a sweet shop and couldn’t help taking advantage of some of the deals (well a lot actually!) new jacket, pants, boots, gloves, fleeces and my best purchase my new Chaz Davies replica helmet! You could easily spend 2 days at the show its that big and that much to do! I don’t think we managed to get round everything! 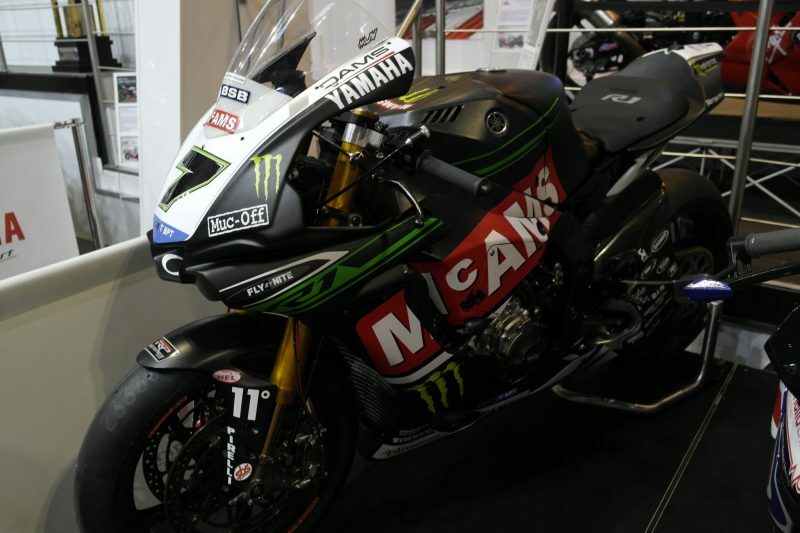 There were a few stands I didn’t get to see like KTM stand & Bradley Smith’s Moto GP bike, the TT Isle of man feature & the Yamaha dark side MT Tour… There’s always next year to look forward to! 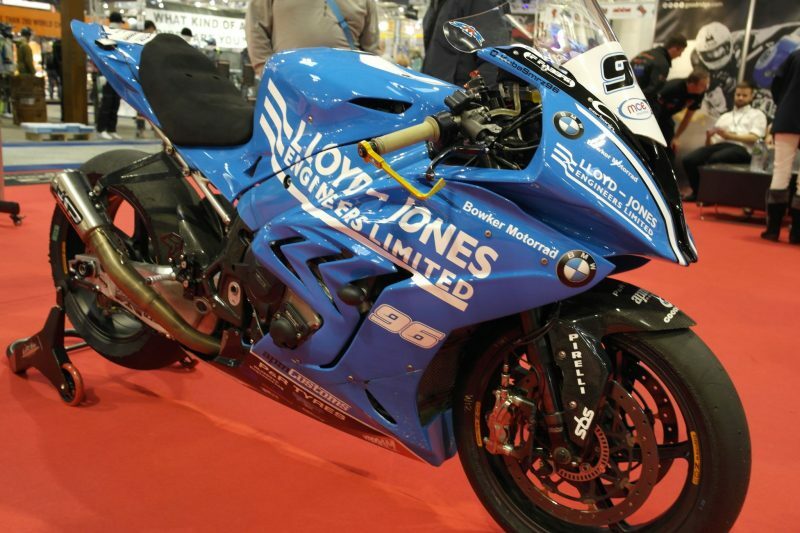 Did you go to Motorcycle live or another bike/motor show? I’d love to hear what you thought of it.